In our earlier posts we had already shared the previous Android versions (Android 2.1 to 4.1.2) GApps (Google Apps) Package with direct download links for our users and now we are going to share the latest and newest All-In-One Android 4.2 Jelly Bean GApps (Google Apps) Package Direct Download Links for Android 4.2 Jelly Bean Smartphone and Tablet device users in flashable .zip file. It’s always handy and useful to take a Backup of Pre-installed Google/Android Apps of your smartphone and tablet devices so in case of emergency you can restore all of your pre-installed Google/Android Apps with single click. 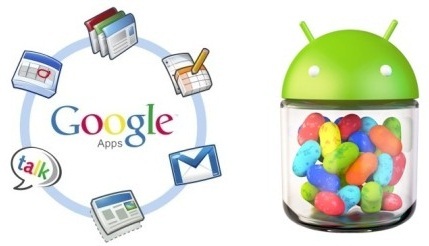 Android smartphone and tablet device users can now Download and Install Android 4.2 Jelly Bean GApps (Google Apps) All-In-One Package Manually. Android 4.2 Jelly Bean GApps (Google Apps) Package is a Flashable Zip file which contains several pre-installed Android 4.2 Jelly Bean Applications and Programs which users can also Download and Install directly from Google Play Store if they need to; otherwise manual process is preferred by most of Android device users. So what are you waiting for, just Download and Install Android 4.2 Jelly Bean GApps (Google Apps) Package Manually via Direct Links available below.